Welcome to the November 22, 2017 edition of ACM TechNews, providing timely information for IT professionals three times a week. Please note: In observance of the U.S. Thanksgiving holiday, TechNews will not publish Friday, Nov. 24. Publication will resume Monday, Nov. 27. Nippon Telegraph and Telephone (NTT) announced that next week it will make a prototype quantum computer freely available for public use over the Internet, marking Japan's entry into the global competition to develop the world's most advanced computers. NTT has collaborated with Japan's National Institute of Informatics and others on a state-sponsored quantum computing project, designing a device that leverages the properties of light. Japan's quantum neural network prototype was designated ready for public availability once it became capable of operating stably around the clock at room temperature. The goal of the deployment is to evaluate a wide variety of uses and have this linked to developing software. The prototype would consume only 1 kilowatt of electricity, versus an average supercomputer's power demands of 10,000 kilowatts. While the U.S. invests about $200 million a year in quantum computing research, Japan has allocated about $267 million for quantum computing over 10 years, starting in fiscal 2018 (which begins April 1, 2018). 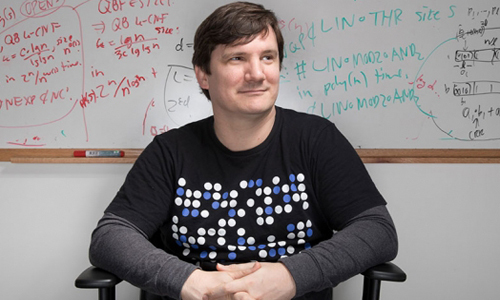 Massachusetts Institute of Technology faculty member Ryan Williams in the Computer Science and Artificial Intelligence Laboratory has made a key contribution toward solving the problem of P versus NP. Much of that contribution stems from his attempts as an IBM research fellow to bridge a divide within theoretical computer science, between researchers who work on computational complexity and those who design algorithms. Williams considered exploiting the symmetry between these two camps, as establishing an algorithm's minimum running time requires generalizing nearly all possible instances of a specific problem that it will ever have to face. His focus was on adapting algorithmic design methods to establish lower bounds. Williams first proved the hypothetical link between algorithms and lower bounds, and then demonstrated its application to a very particular class of logic circuits. "This is essentially the circuit class where progress on P not equal to NP stopped in the mid-'80s," Williams notes. Researchers at Imperial College London (ICL) in the U.K. have developed a method for writing magnetic information in any pattern, using a very small magnetic probe known as a magnetic force microscope. With the new method, the researchers say arrays of magnetic nanowires could function as a hardware neural network, which has the potential to be more power-efficient than software-based approaches. The team demonstrated the new system by writing patterns that have never been seen before. "With this new writing method, we open up research into 'training' these magnetic nanowires to solve useful problems," and it could bring hardware neural networks a step closer to reality, says ICL's Jack Gartside. He says the new method also could be used to study fundamental aspects of complex systems by creating states that are less than optimal, such as three south poles together, and observing how the system responds. Robot missions to Venus could become routine within the next decade by sending exploratory probes with highly durable computer chips that can handle the planet's extreme environment, according to Phil Neudeck of the U.S. National Aeronautics and Space Administration (NASA). "We're really trying to recreate Moore's law, but to do it for high temperature," Neudeck says. 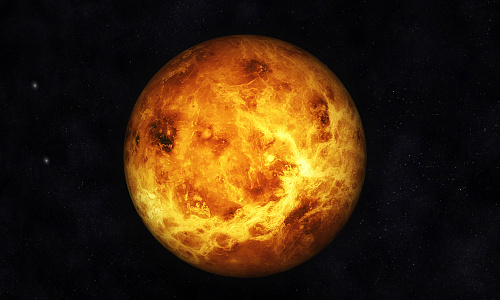 Last year, his team demonstrated a silicon carbide chip's endurance by putting it through stress tests in the Glenn Extreme Environments Rig, which simulates Venus' high temperatures and pressures. A 24-transistor version of the chip survived for 21 days in the simulation, and proposed Venus missions seek to use robotic landers equipped with such chips that can run tests on the planet's interior for sustained periods. NASA scientists say advances such as Neudeck's could pave the way for rekindled interest and investment in missions to Venus, which have been mostly dampened by budgetary austerity and aborted projects. Following last year's revisions to required academic standards that made computer science instruction mandatory in Virginia, the state has completed a series of computer science (CS) standards designed to configure the curriculum and what instructors are expected to teach at each grade level. The standards dictate that computer science in grades K-8 should be addressed within content areas, while CS courses for middle and high schools are designated standalone electives. The 6th-grade standards stress building programs and using algorithms to perform tasks, and students in that grade starting to understand ways of storing data as representations of real-world phenomena. The accurate use of terminology as well as the responsible use of technology will continue to be built upon, while foundational comprehension of computing and the use of technology will be an essential element of successful acquisition of skills across content areas. Researchers at the University of Missouri have taught deep-learning algorithms to identify Chinese missile sites in satellite imagery hundreds of times faster than humans, so people with no prior imagery analysis expertise could locate them across nearly 90,000 square kilometers. The algorithms not only matched the overall 90-percent accuracy of expert analysts, but also helped analysts reduce the time needed to pinpoint potential missile sites from 60 hours to 42 minutes. The researchers adapted commercially available deep-learning models originally designed to detect and classify objects in traditional photo and video imagery. 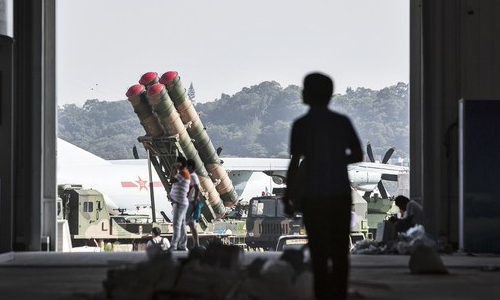 They also combined public data on the global locations of about 2,200 surface-to-air missile sites with DigitalGlobe satellite imagery to create their training dataset, and tested four deep-learning models to find the best-performing one. The team then trained the algorithm on about 90 positively identified sites, which were expanded to approximately 893,000 samples by shifting the original images slightly in different directions. The U.S. Defense Advanced Research Projects Agency's Lifelong Learning Machines (L2M) program seeks to develop continuously learning artificially intelligent (AI) systems that adapt to new tasks and know what and when to learn. "We want the rigor of automation with the flexibility of the human," says L2M director Hava T. Siegelmann. She notes today's AIs cannot be retrained on the job due to their susceptibility to "catastrophic forgetting," in which learning a new item disrupts the knowledge of all other tasks the AI already knew how to perform. The L2M program has selected 16 groups for four-year project grants, and Siegelmann notes there are still openings to propose 12- or 18-month initiatives. One set of the grants will support projects to develop systems that continuously learn, adapt to new tasks and conditions, and understand inputs according to the system's mission. Another set will support projects to identify new mechanisms of lifelong learning and incorporate them within an algorithm that improves AI. Researchers at the University of California, San Diego, and Adobe have outlined a technique that would make artificial intelligence capable of inferring a person's fashion style and generating digital images of items matching that style. 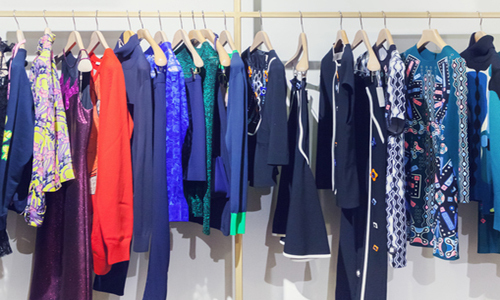 The team says the system could enable retailers to produce personalized apparel or even forecast broader fashion trends. The researchers first trained a convolutional neural network to learn and classify a person's preferences for certain items, using purchase data gleaned from Amazon. They then used that data to educate a generative adversarial network (GAN) so it could create multiple images of items for each user. The team says the addition of GANs to recommender systems could help online retailers determine customers' preferences beyond already existing items, although they would have to develop a process for converting the two-dimensional computer-generated images into three-dimensional renderings that could be used to create a piece of clothing. Harvard University's Pooja Chandrashekar founded the ProjectCSGIRLS coding competition while still a high school sophomore, and now it is the largest competition for middle-school girls in the U.S., committed to promoting greater diversity in the technology industry. Chandrashekar led the national expansion of ProjectCSGIRLS, whose goal is to challenge students to code or prototype a computer science project with a socially beneficial theme. "Girls tend to gravitate toward careers and projects where they can make a difference," Chandrashekar notes. "So our focus with this competition is to show girls that technology can be used for social impact. That's when computer science becomes all the more real for them, and that much more interesting of a field." Chandrashekar and her team have rolled out workshops at schools throughout the U.S. to help girls build the basic skills they would need to compete in ProjectCSGIRLS, and this year workshops were launched internationally. 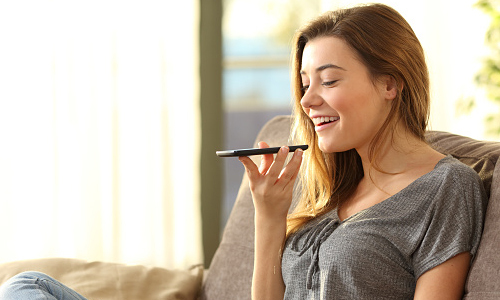 Researchers at the University of Eastern Finland have found skillful voice impersonators are able to fool state-of-the-art speaker recognition systems, posing a significant security risk. The researchers analyzed the speech of two professional impersonators who mimicked eight Finnish public figures, and they also examined acted speech from 60 Finnish speakers who participated in two recording sessions. The speakers were asked to modify their voices to fake their age, attempting to sound like a senior citizen and like a child. The researchers found the impersonators were able to deceive automatic systems and human listeners in mimicking some speakers. For the acted speech aspect of the study, the researchers found both automatic systems and human listeners were tricked by participants who altered their voices to sound like children more so than those who changed their voices to sound like senior citizens. A growing body of research adds weight to the issue of scientists being unable to understand how machine-learning artificial intelligences (AIs) reach conclusions, making the trustworthiness of autonomous systems suspect. Several dozen U.S. researchers are pursuing more transparent machine-learning methods, and Microsoft Research's Rich Caruana has spent six years integrating various techniques into a neural network model to predict risks for patients with pneumonia while explaining its predictions. Explainable AI (XAI) efforts also are being driven by David Gunning at the U.S. Defense Advanced Research Projects Agency, who is funding projects that seek to make new XAI techniques answerable to the demands of human psychology. "The real secret is finding a way to put labels on the concepts inside a deep neural net," Gunning says. Labeling such concepts makes them applicable to reasoning, and one project Gunning oversees is developing modular deep neural nets composed of smaller, more comprehensible elements.